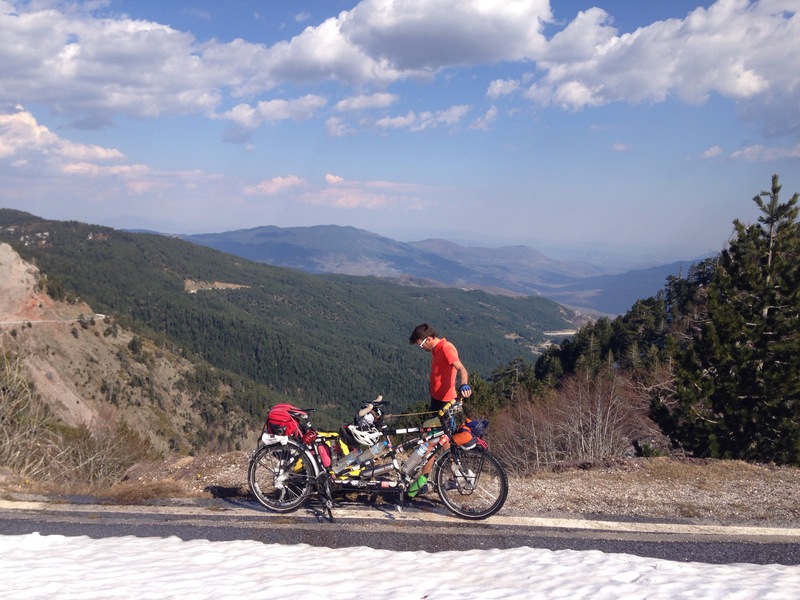 On one of our last days in Greece we had to get across the 1700m high pass called the Katara. We didn’t want to take the busy toll motorway route for obvious reasons (especially because of the long tunnels) so we were following the old Aroad route which was working out very well. 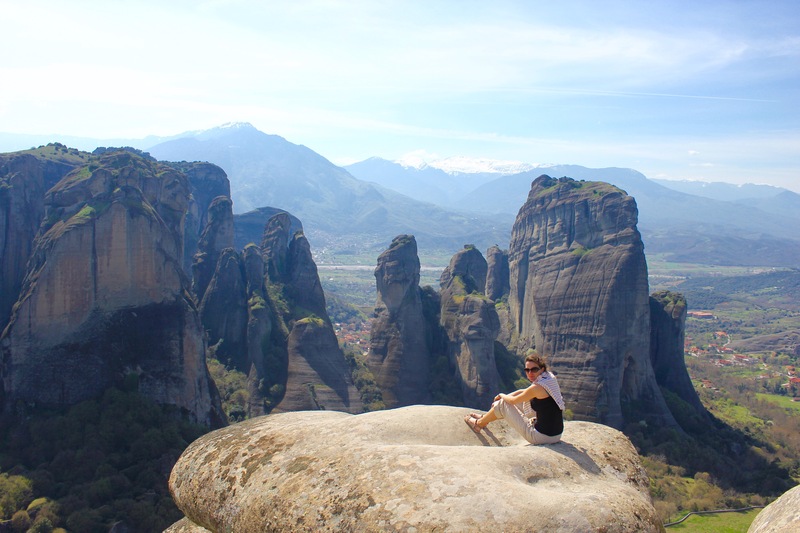 Coming out on top (it was recently voted the most beautiful place in Greece) is the Meteora. 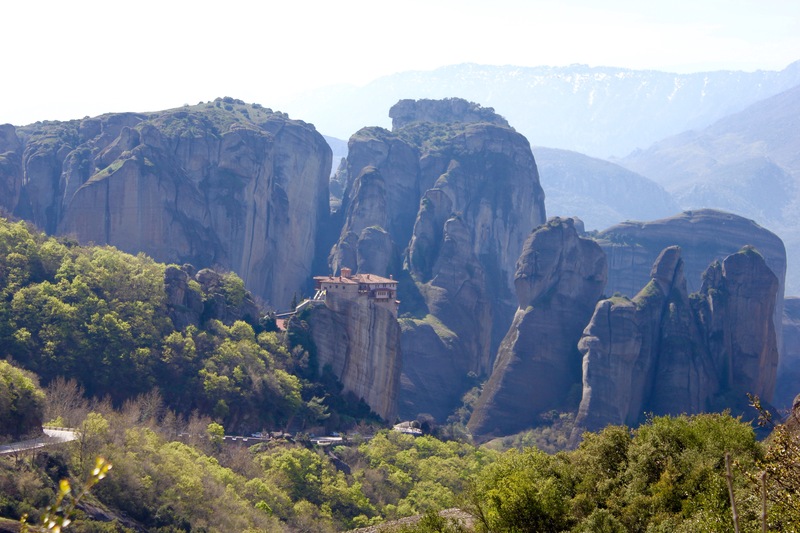 The Meteora is collection of curious rock formations which jut out of the ground to a height of 600m plus. Weathering and erosion overtime along the fault lines means that many of the rocks now stand alone, reaching into the sky like long fingers. There’s hardly any vegetation and they all share the same smooth, grey, uniformed surface which makes them almost impossible to climb. 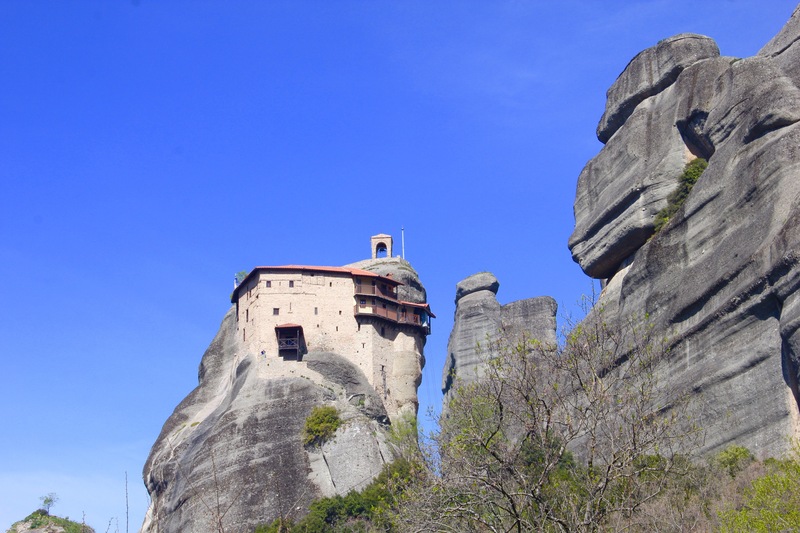 There was once a total of 26 orthodox monasteries perched on these various rock towers. Now only six remain housing between 3-16 monks or nuns in each. The first monastery was built in the 14th century (although buildings existed there before this) and over a period of 200 years more were added. The buildings are impressive, some of them as big as castles, and the buildings look as if they’ve been melted onto the rock. Before the stone steps which now provide easy access for all the tourists, the only way up was via rope ladders or baskets on a winch which could be pulled up in a matter of seconds. The hermit monks used this ‘basic’ form of defence time and time again against the threat of external invasion and persecution – the Ottoman Turks and later against WW2 German and Italian forces. Despite Paddy’s vertigo we managed to visit a couple but we spent most of the day cycling around and enjoying taking in the formations from different angles. From here we head north – more mountains to come including a 1700m humdinger to look forward… Not long before we reach our first border crossing of 2017! 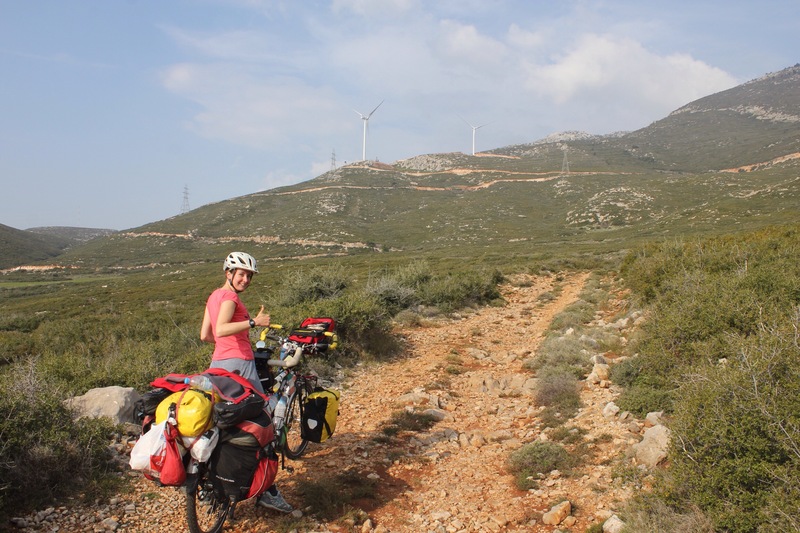 From Eptalafos we enjoyed a long downhill to Lamia. 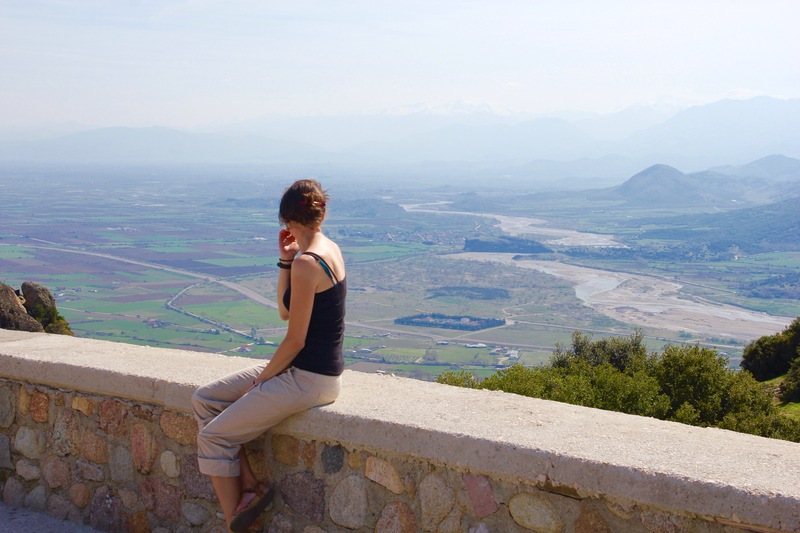 Central Greece is essentially made up of mountain ranges with rich fertile plains nuzzled in the middle. These are heavily farmed with wheat, vines, fruit trees and vegetables and we’ve also seen a lot of cotton plants. The farmers are all out busy ploughing. It seems we’ve left winter behind us and everyday now is warm, sunny and dry and the days are getting longer and longer. 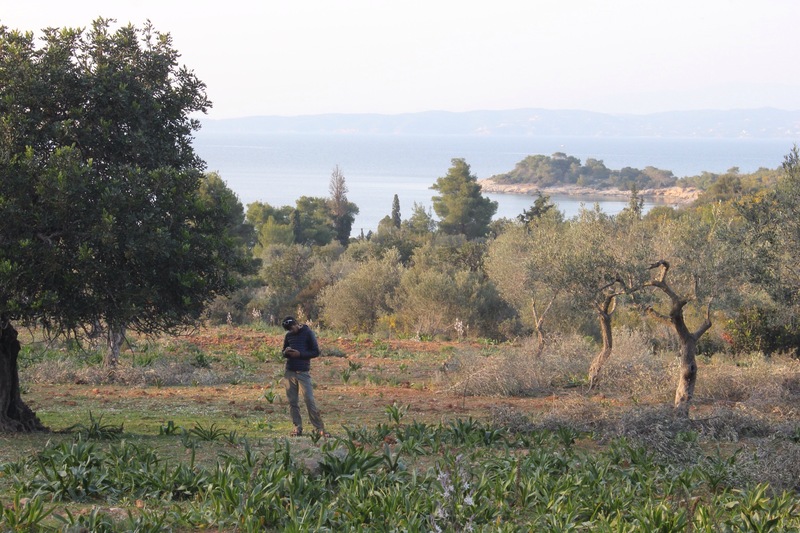 We’ve seen lots of people out foraging – they seem to be picking a mixture of green leaves, and wild herbs a few of which I recognise… The spring flowers and tree blossoms are fully out now and one evening we enjoyed camping in this lovely olive tree grove. 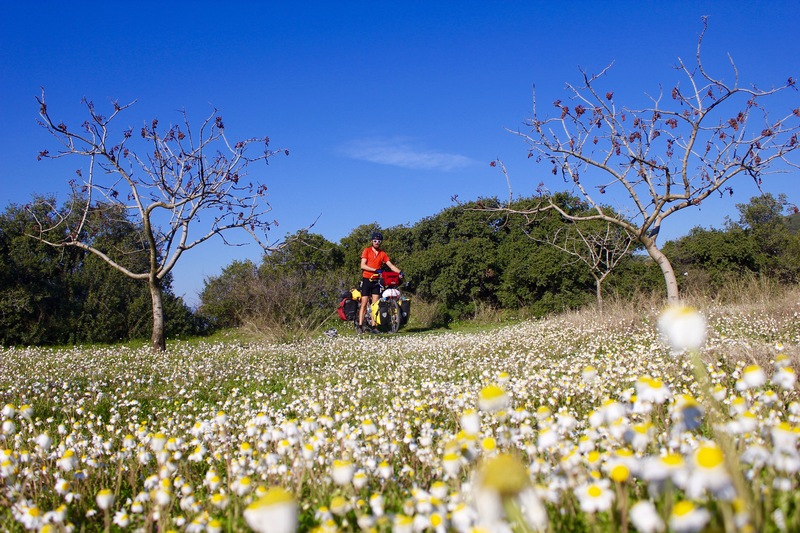 We have enjoyed the mountain roads and passing through the small hamlets snuggled into the side of the valley – their terracotta tiled roofs, tidy veg patches and packed dirt tracks leading to remote farms all give a sense of calm, bucolic tranquility. There has been some big investment in both wind and solar energy which is great to see. 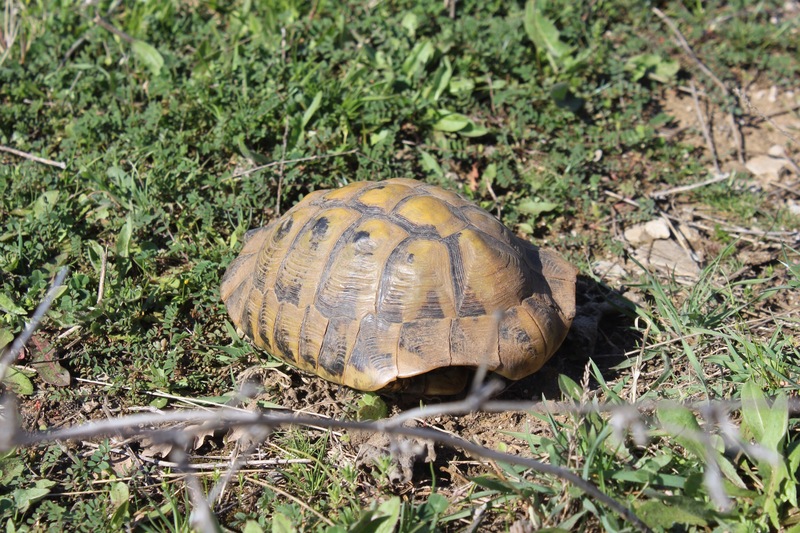 We’ve spotted lots of familiar wildlife with many different birds of prey, lizards, tortoises, badgers (!?) and many songbirds. We also have to keep swerving to avoid the long lines of caterpillars who seem intent on crossing the busy roads. We were confused by a very loud and bizzare gurgling cry for a few days until we realised it was being made by the mating toads who inhabit the roadside irrigation banks. They are really loud!!! 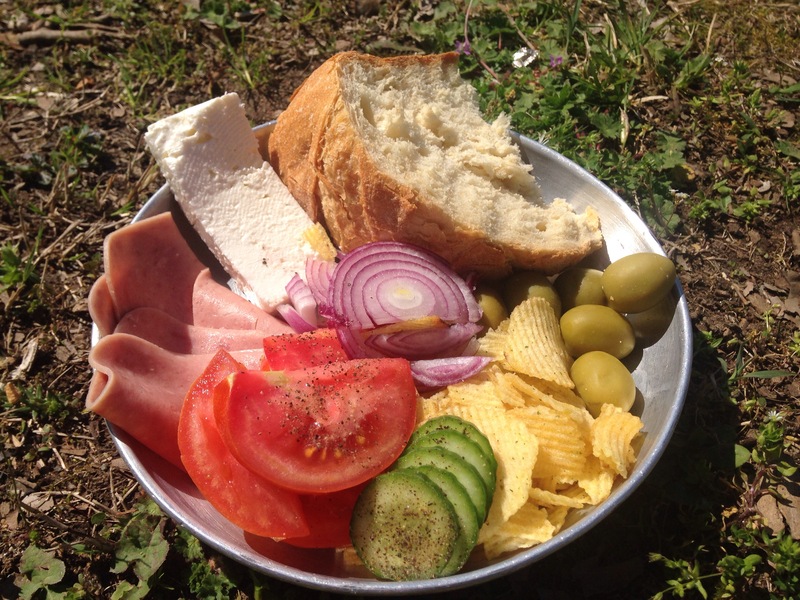 The Greek people are really friendly and we’ve had some nice encounters including being given a carton of fresh orange juice from a cafe waitress and being invited in for coffee and breakfast by a round faced lady and her children. 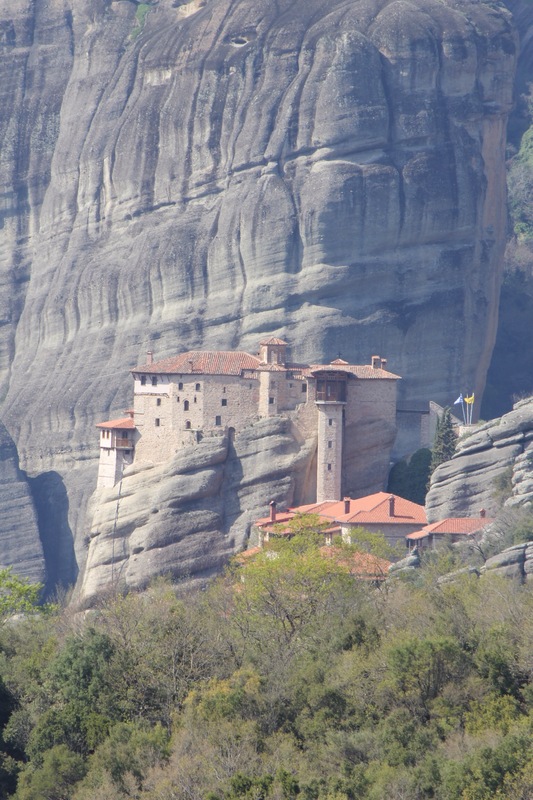 We’re making steady progress and are heading towards Kalabaka where there’s some interesting monasteries to visit. 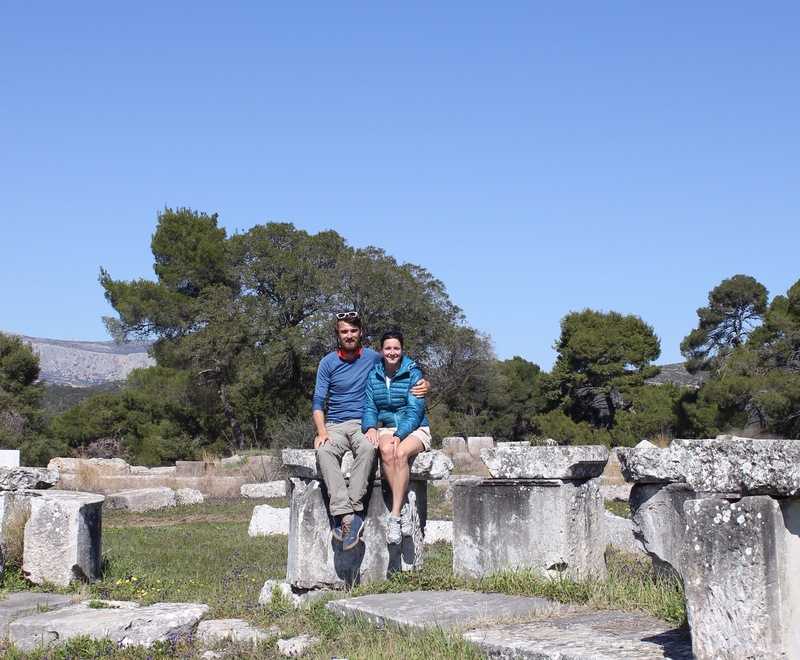 When my sister Kate was visiting us on the boat she told us that we had to go to the archaeological site at Delphi. So here we are! Although there is evidence that the site was used to worship Ge the earth God during the Mycenaean period the Delphic sanctuary reached its Panhellenic importance (incorporation of all the individual Greek states) starting at the beginning of the 8th century BC and reaching its peak between 500-300BC. The shrine was dedicated to the cult of Apollo and was where the clairvoyant Pythia lived with her high priests. The Pythia was an old woman dressed as a young maiden who would enter a trance before pronouncing her oracles. These would often predict the fates of the various city-states. 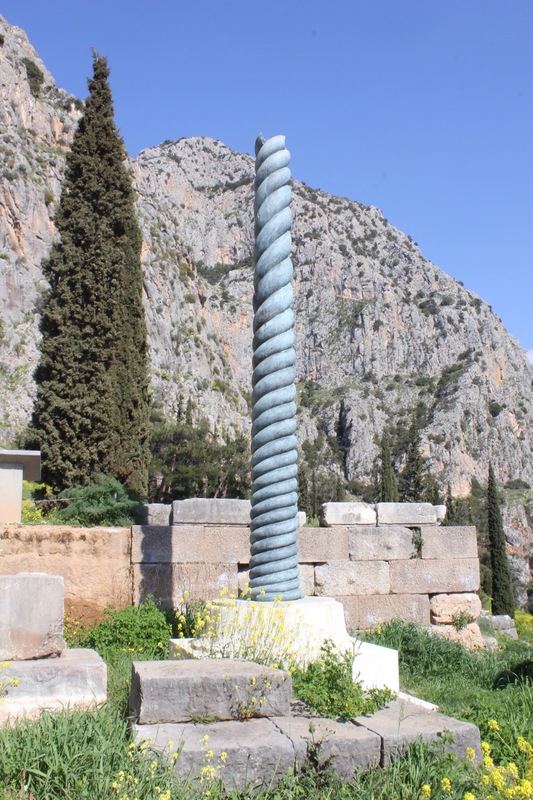 Delphi was so renowned that even foreign leaders visited the oracle and contributed significant sums to its building program – people such as Midas the Phrygian King (central Turkey) and other leaders even further east. The site is built on levels cut into a steep and impressive valley and the view looking out is incredible. Naturally there is a theatre which sits at the very top of the site and which offers an amazing panoramic view of the gorge. The next level is where the huge temple of Apollo would have stood – occupying the most prominent position in the sanctury. A few of its epic columns still stand along with some noticeable foundations. Apollo was the God of music, harmony and light. 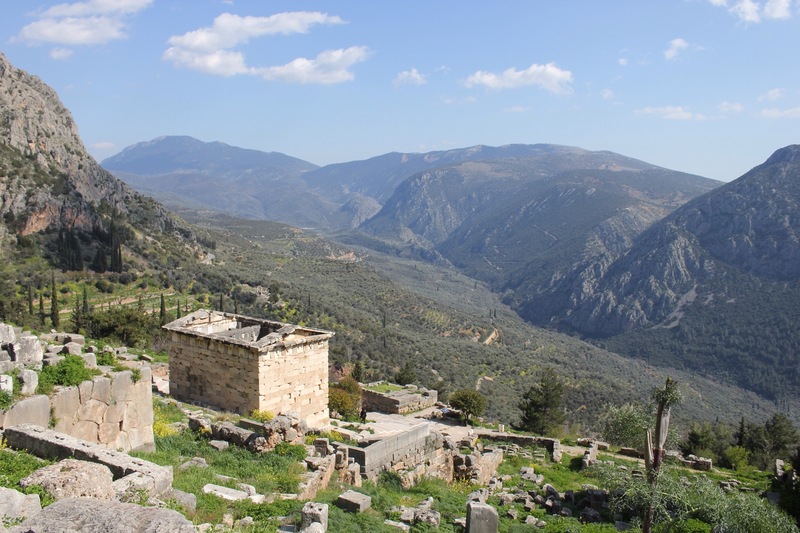 Homer mentions the Delphic site as a place of great wealth. All the city-states built elaborate votives – statues, temples, treasuries and tripods – all offered as tributes and filled with treasures, often from the spoils of war. 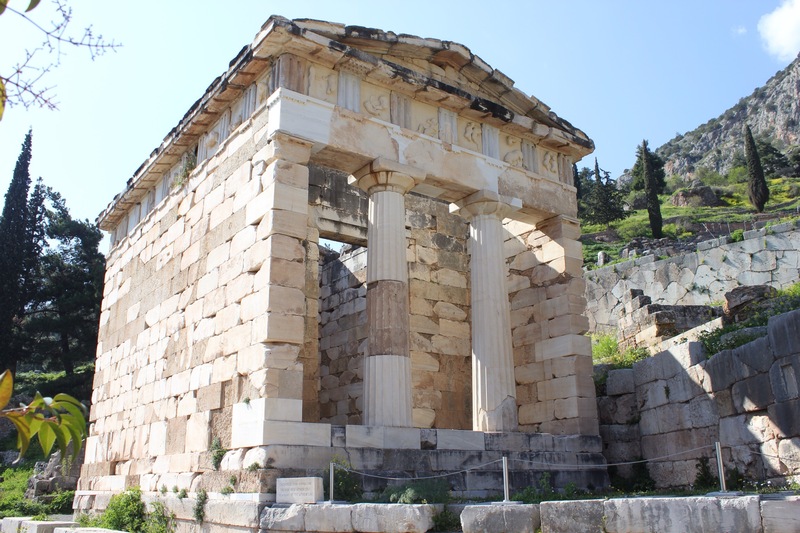 These were all built along the main causeway called the ‘Sacred Way’ which led up to the main Temple of Apollo. Many of the statues and buildings which, are in themselves the finest examples of Classical Greek art, were inscribed. So the site gives historians an incredibly complete and diverse picture of Panhellenic history and cultural practices. 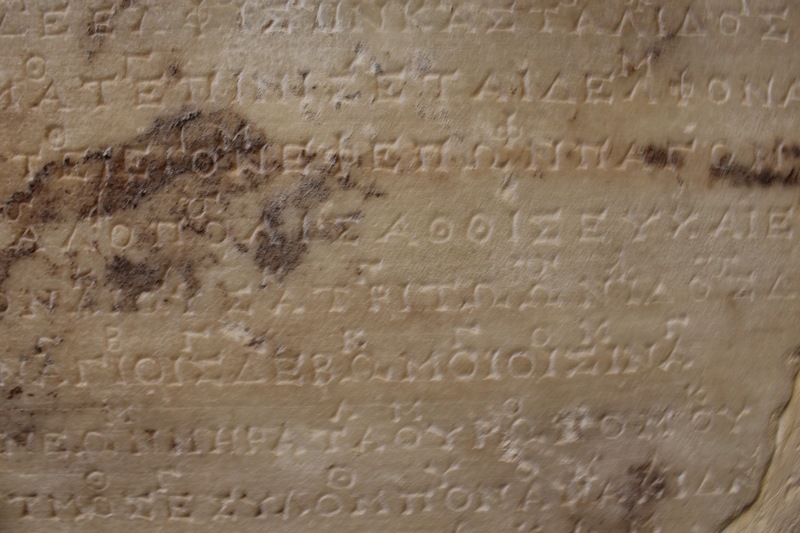 For example on the wall of the Treasury of the Athenians is inscribed the Delphic Hymns – some of the earliest known notated musical score. The tripod of the Plataeans was the sole common votive by all the Greeks following their victory over the Persians in the battle of Plataea in 479BC. The tripod was later transferred to Constantinople by Constantine the Great who found it in 330AD and placed it in the Hippodrome. There is still stands. 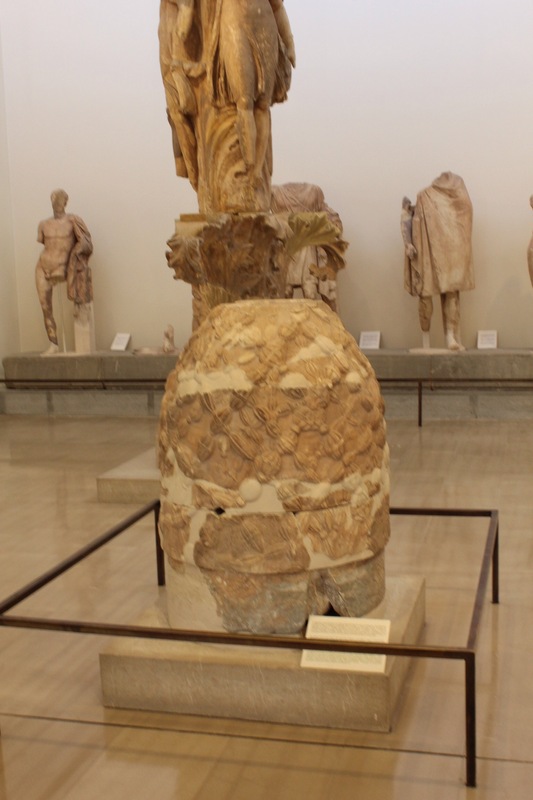 ﻿There is also The Naval, or sacred omphalos; a naturally occurring conical shaped stone which was identified with the story of Zeus discovering the centre of the earth. He released two golden eagles to fly in opposite directions, and where the birds met he threw down a stone to mark the centre. It apparently landed in Delphi. 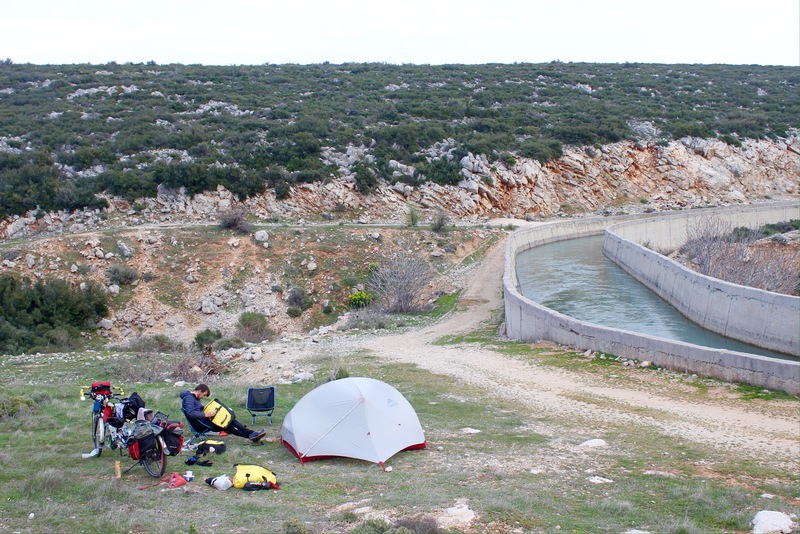 That night we camped on a ridge overlooking the same valley and, not that we ever need much of an excuse, celebrated St Paddy’s day with a beer before climbing into the tent to start watching the documentary series on the BBC all about Greek history. It’s been a great addition to our time here even if we find the presenter a little OTT! The next morning we had to climb back up towards Arachova and over the two passes to reach the village of Eptalafos. It was a Saturday and there was a lot of cars with skis strapped to the roof. We presumed that the Pernassos ski resort would be closed so late in the year, but clearly not, and once we started to climb the next mountain we saw there was plenty of snow still left. 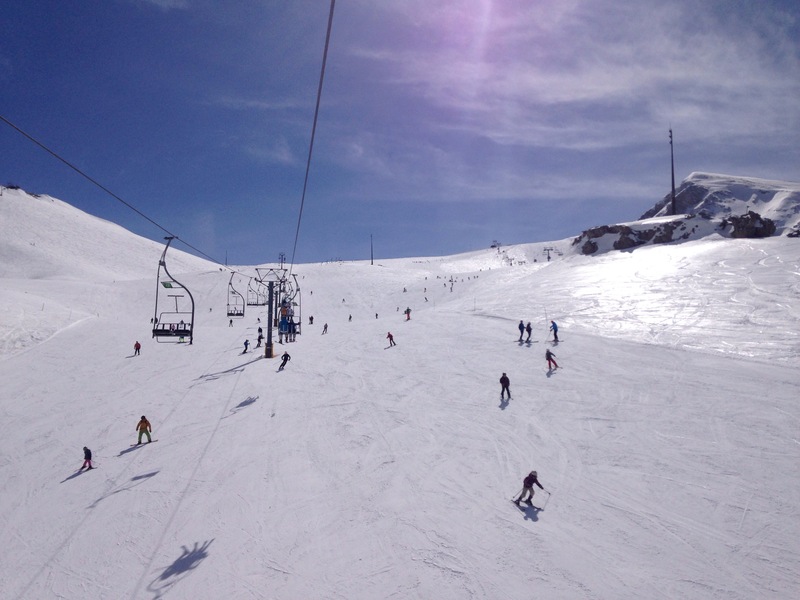 The opportunity to do a day of skiing was too tempting to miss out on. Neither of us had been for three years, not since we went to visit P’s friend Harold in Switzerland. The ski resort is a 16km detour up the mountain and would be far too cold for us to camp. 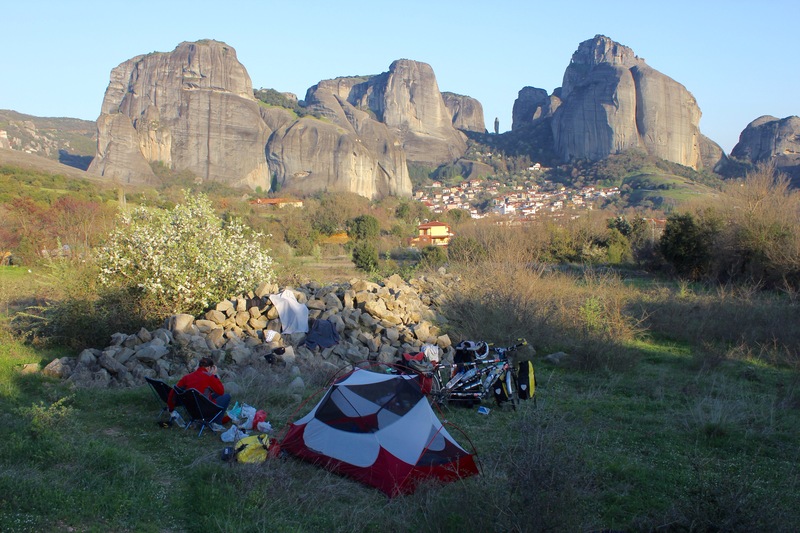 So we hatched a plan to get down to Eptalafos, find somewhere suitable to camp on its outskirts, check we could rent equipment at the resort and then hitch a lift early in the morning. We found a perfect camping spot in a little park next to a church and asked a lady in the house nearby if we could camp there. The colder weather that we experienced last week has gone and we were able to sit out under the trees until well past sunset. The next morning we packed up and cycled down to the main square. The Sunday morning bells were ringing, blue skies were forming and we saw a lot of locals making their way down to morning mass. We simply left the loaded bike locked outside an open bakery tucked into a corner of the square. Inconspicuous but well in sight of the cafes and shops surrounding the square. Experience tells us it would be fine. It didn’t take us long to catch a lift. Dimitri and his young daughter Elektra were on their way up to the resort too and were kind enough to stop and give us a lift. 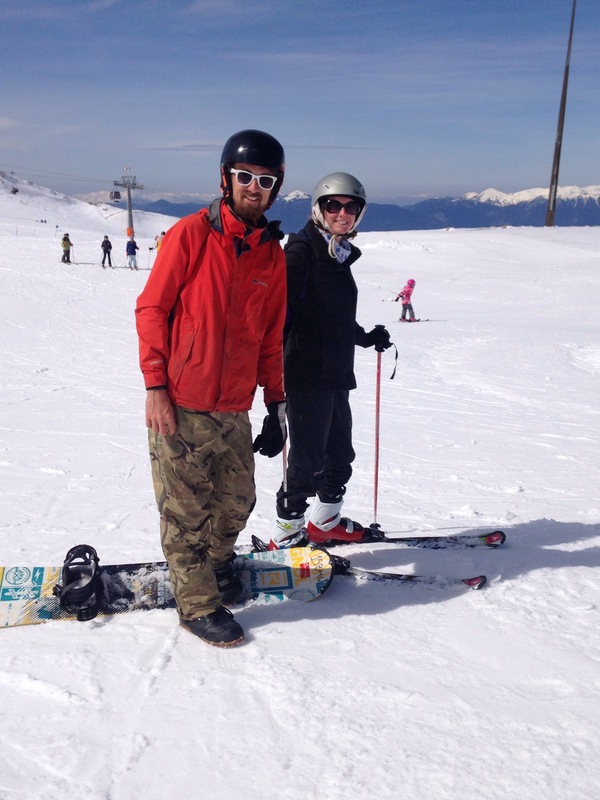 We had a brilliant day – Paddy snowboarding and me skiing. It was good to go and do something completely different despite it making a bit of a dent in our budget. 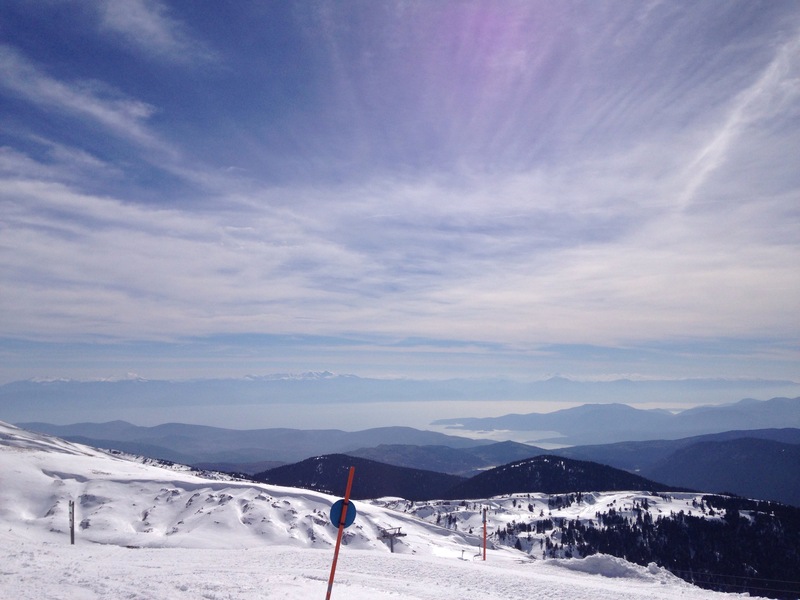 Pernassos is quite a small resort with mainly blue runs interspersed with a few reds so perfect for our level. It wouldn’t be big enough for a week of skiing and by the end of the day we had done most of the runs. The weather was beautiful and the resort boasts incredible views all the way out to the Gulf of Corinth on one side and the Gulf of Malia on the other with spectacular snow capped mountain ranges sandwiched in the middle. It took a little longer to hitch a ride back as most people were heading back the other way towards Athens. 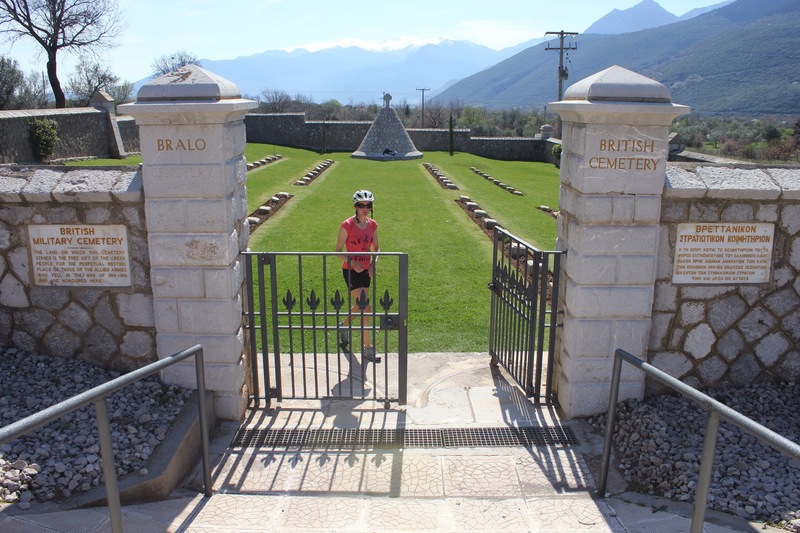 We ended up doing the journey in three legs – the last guy driving us 5km out of his way to drop us off – and we were back at the bike by 5:30pm. 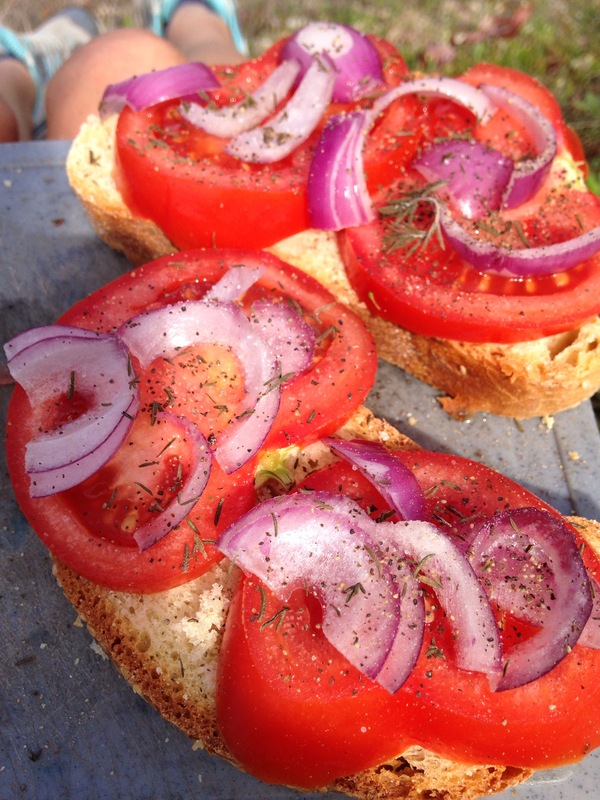 We braved a (very needed!) cold water shower in the river when we got back which wasn’t as bad as we were expecting before setting up the tent back near the church. All in all a great couple of days! 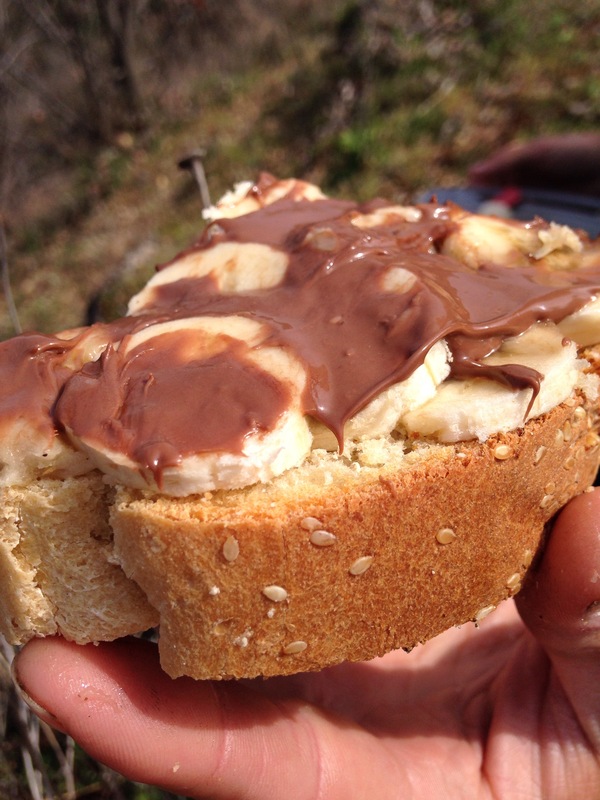 We packed up the boat and then a half day cycle saw us complete a good 50km to a beachside camp spot where George, a Caribbean bar tender, let us have use of his inside tap and swanky toilets – so our first camping spot of 2017 was very luxurious! A good way to ease back in. The rest of the roast chicken also made a good addition to our curry for dinner. 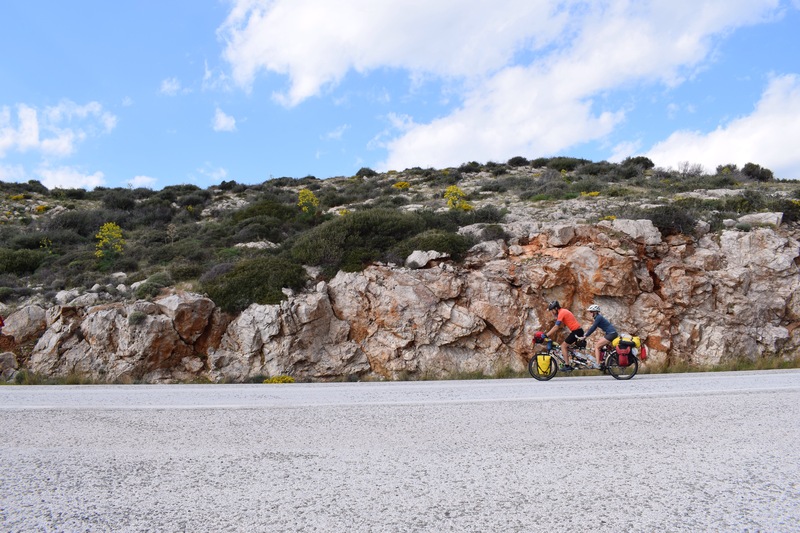 Next morning was quite unpleasant as we needed to get through busy Piraeus which involved lots of cycling on dual carriageways and across large overpasses. By lunch we’d broken the back of it though and the afternoon saw us start to tackle our first major climb of the year. 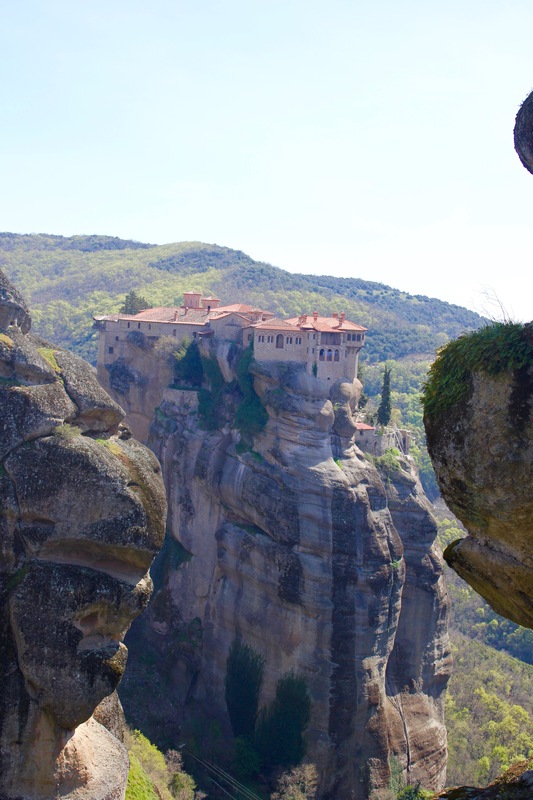 We soon discover that Greece is very very mountainous! We manage a long day hitting 87km before pulling the bike off the road to a big clearing where the ruins of an old farm house sit. We’re not that high so it’s not too cold although we’re finished with dinner (Risotto) and in the tent by 7pm. A 6.30am start sees us complete another big climb where we then shoot down the other side to Plataea and the wide, open, fertile valley beyond which was where the Greeks had the final victorious battle with the Persians. We see a nasty weather front heading in from the north but manage to shelter under a picnic area as it rolls past us. The rest of the day ends up being quite warm and before the next climb which was due to take us all afternoon Paddy spots a large canal carving its way through the valley. After a quick look on the map we confirm that the canal is going in the same direction and we can link back up to the road in 20km – a much easier option that struggling with those hills. We stay on the dirt road next to the canal for the remainder of the day and camp 1km from where it meets back onto the road. The scenery around here is so spectacular and very different from our time on the coast. Once you get away from the sea the country here feels much more remote and parochial (but not in a bad way). Fewer people speak English and we pass a lot of rundown dwellings. These are still very much farming communities. There are also many half-completed building projects – all of them having ground to a halt in 2008 with the crash. The next day was another big climbing day but first we needed to get the tandem back onto the road via a very broken and stony path. For that half an hour it felt like we were back on the Pamir Highway. The roads are pretty steep in places and we’re certainly using our new low gears as our bodies adapt to the cycling again. We have a gorgeous day twisting and turning up through the alpine forests and just before our tea break catch our first glimpses of Helicon Mountain which has supposedly inspired many poets and storytellers; Paddy remembers learning the Seamus Heany poem, ‘Personal Helicon’ in school for his leaving cert. 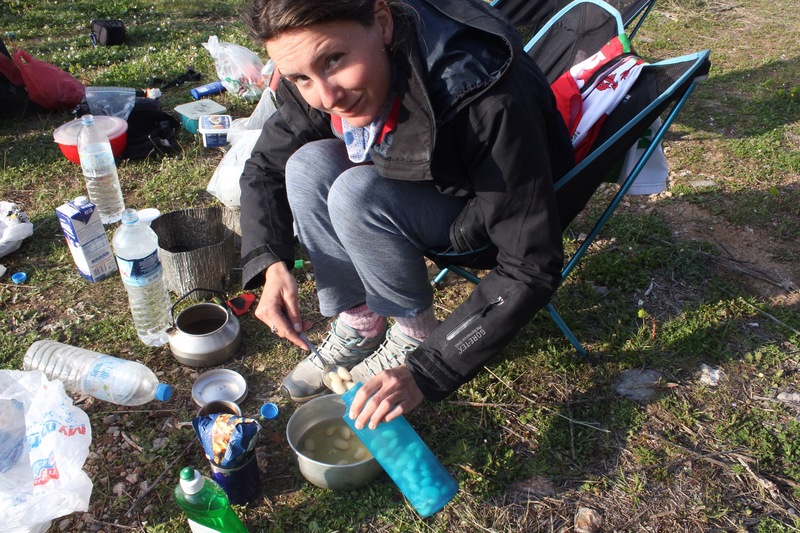 We stop for a tea break – our friends Andy and Clare had inspired us to finally invest in a thermos flask and we really don’t know how we ever managed without one! 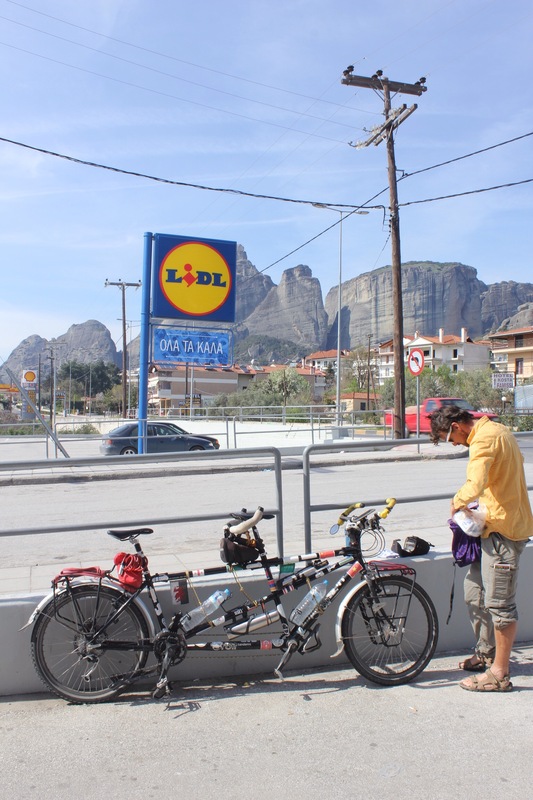 We complete the climb before dropping down to the picturesque town of Kyriaki where some nice ladies let us replenish our water bottles. From here we have a steady but short climb to reach the next valley which really is breathtaking. I have never seen so many olive trees! 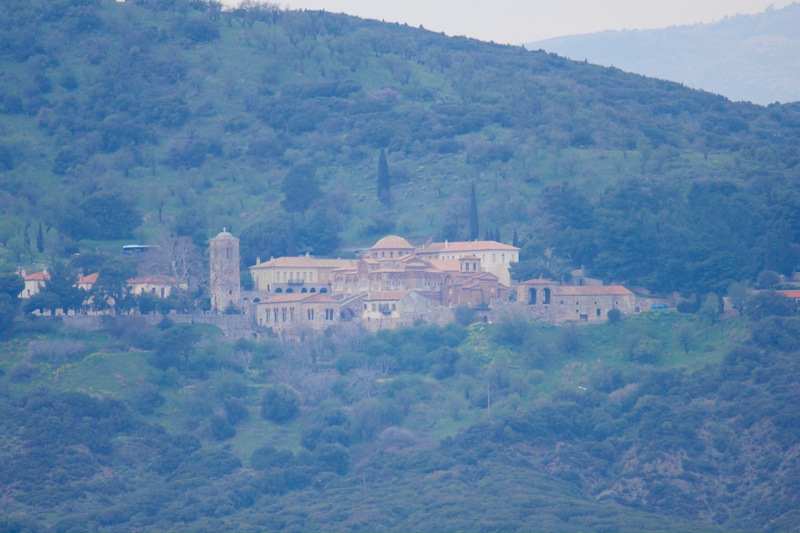 We stop for lunch and half way up the mountain across from us is Hosios Loukas – a large monastery. 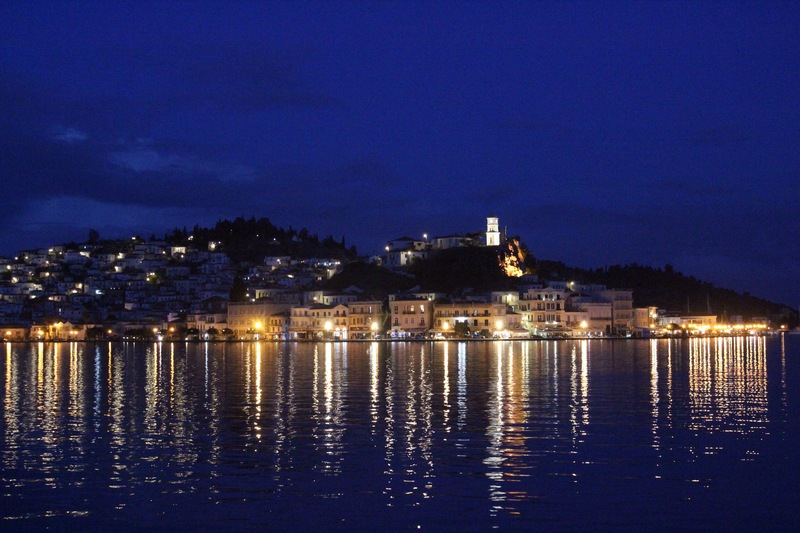 It is famed for its Byzantine architecture and it’s the only known church built on mainland Greece during the 10th century. More climbing that afternoon and very tired we pull tandem off the road and down onto a sheltered, hidden patch of grass. We were due a cold night that night and we were at 700m so we forage for wood and prepared a fire before setting up camp and eating dinner. 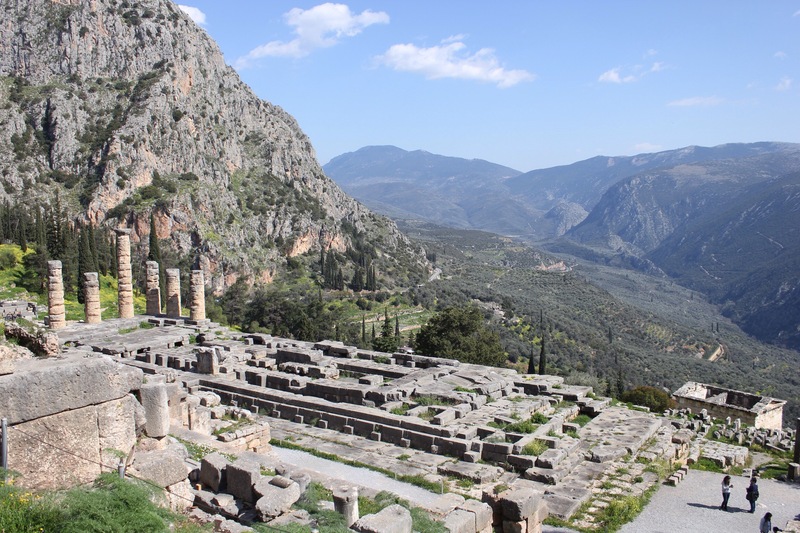 The plan was to reach the famed archaeological site of Delphi the next morning – a easy 23km away. We stoped at Arachova to replenish food stores. A very nice town right at the top of the climb, perched on the edge of the deep valley. You can see all the way out to the Gulf of Corinth and the Peloponnese from the town which looks like it’s literally tumbling down the mountain. 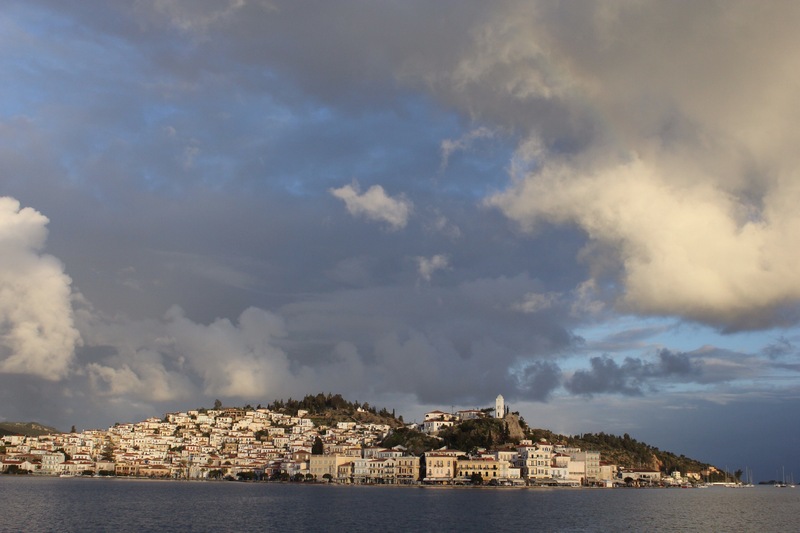 A pretty awesome place and obviously doing well all year round due to its proximity to both the Parnassos ski-resort and to Delphi. 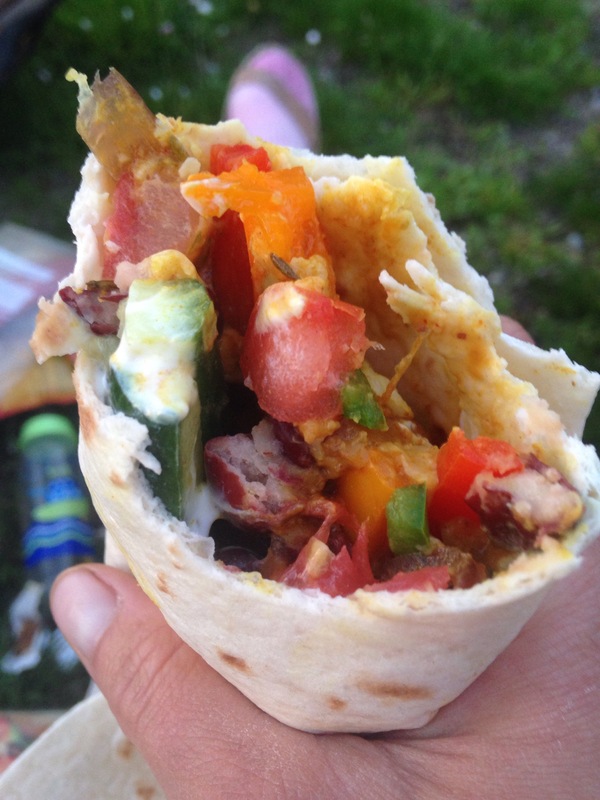 Since we’ve been back on the bike we have upped our game on the campsite cooking side of things. 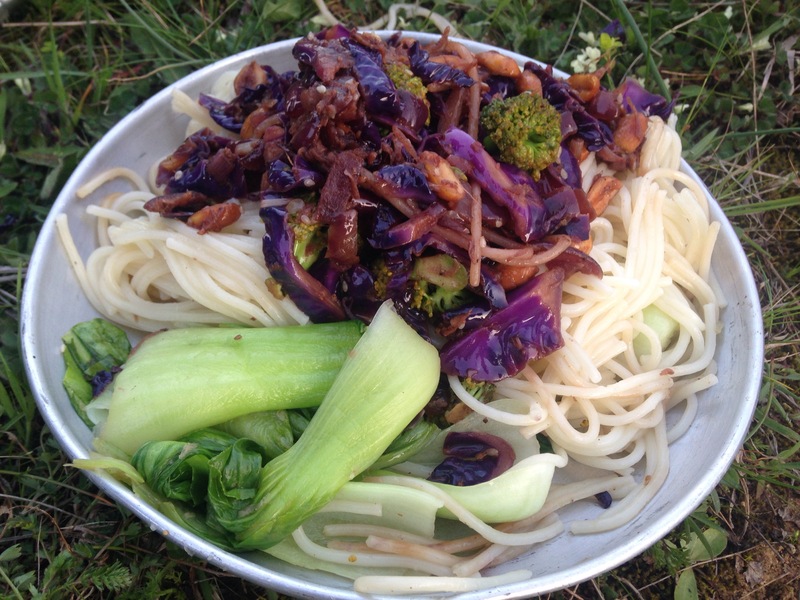 Now that we’re no longer really eating out its been important for morale not to just repeat veg pasta every night. Our new spice bag is helping a lot as is the discovery of dried beans which are a great meat substitute even if you do have to go through the process of soaking them for 24 hours… Luckily it turns out that our small water bottle is the perfect bean-soaking device. Time to get back on that bike! Our last week was very low key. 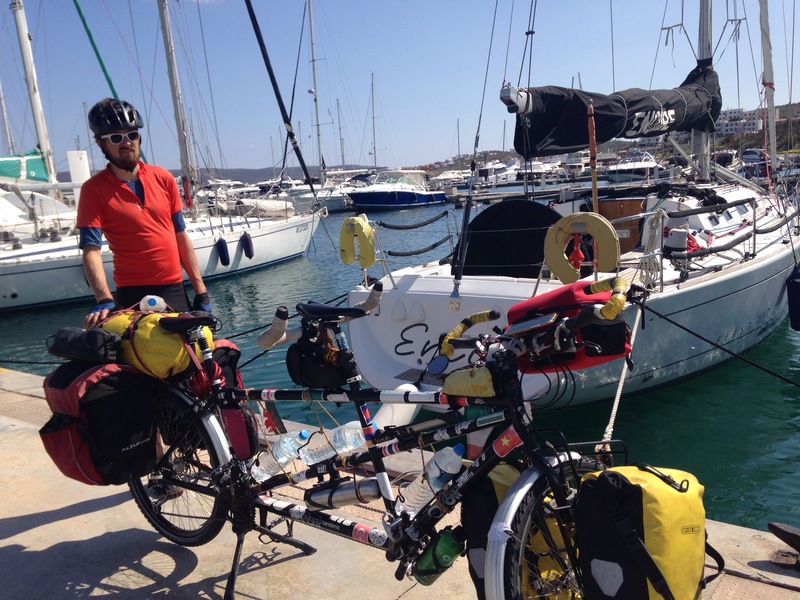 We enjoyed some nice anchorages and gorgeous coastline walks but also had some very bad weather where we were trapped on a mooring in the boat for 24 hours. 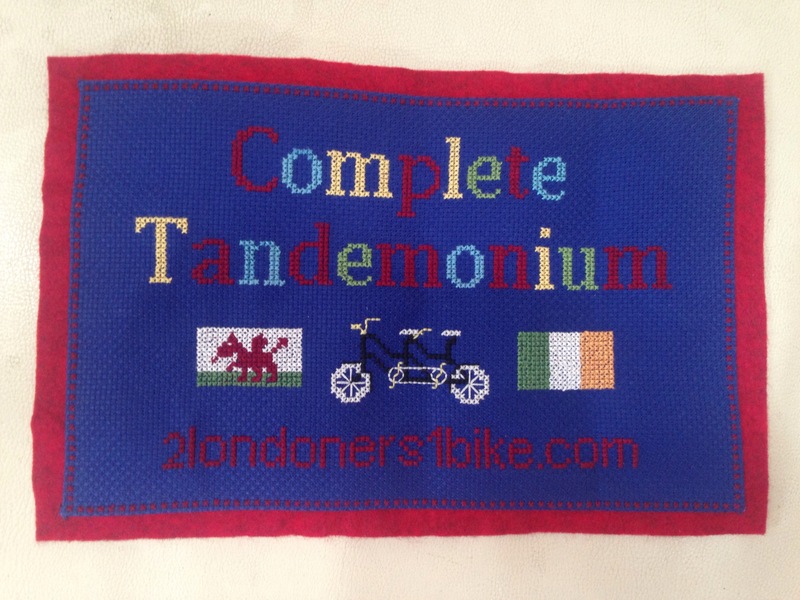 Luckily this gave us both time to finish our hardcopy books and I finally got round to finishing the cross stitch which was intended to be given to Paddy on his birthday three weeks ago! Today is our last day on the boat getting everything ready to get back on the road. Lots of washing, packing and fixing things. 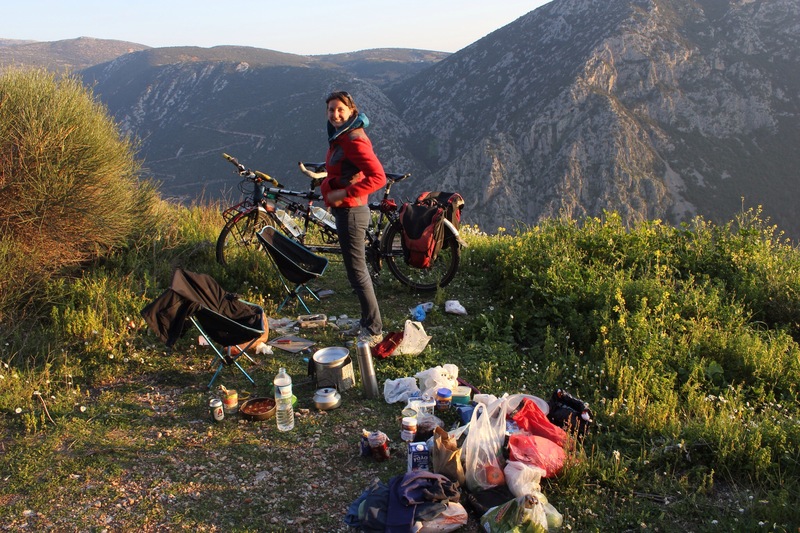 It feels slightly surreal trying to remember how we packed everything in before and we’ve certainly bought way to much food – forgetting that we actually have to carry it all on the bike! It’s been fantastic living on the boat. I’ve really got into the sailing and last night we both agreed that our lives the last month have been slightly ridiculous – pottering about the Greek islands on a yacht, anchoring in secluded bays, sunbathing in February – all while enjoying the company of friends and family who have been able to come to visit. We are both certainly looking forward to retirement! 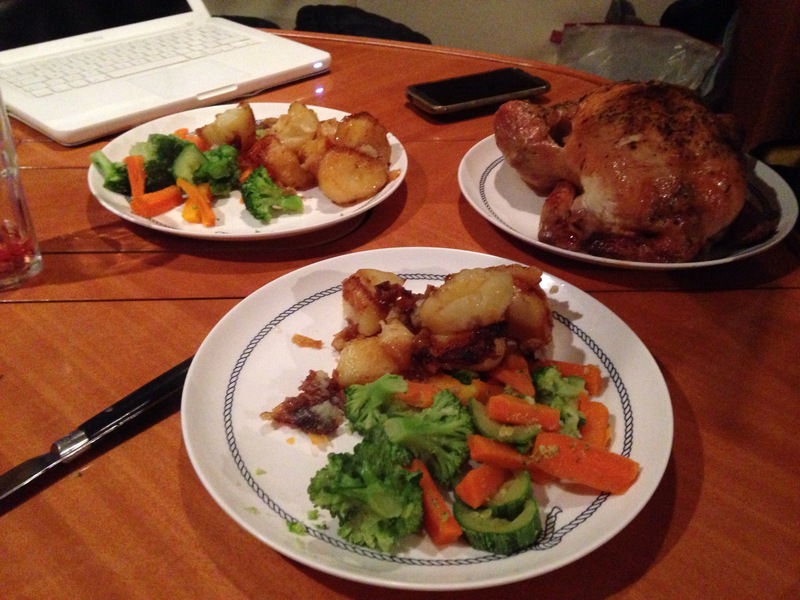 We celebrated our last night on Encore with a full chicken roast dinner! 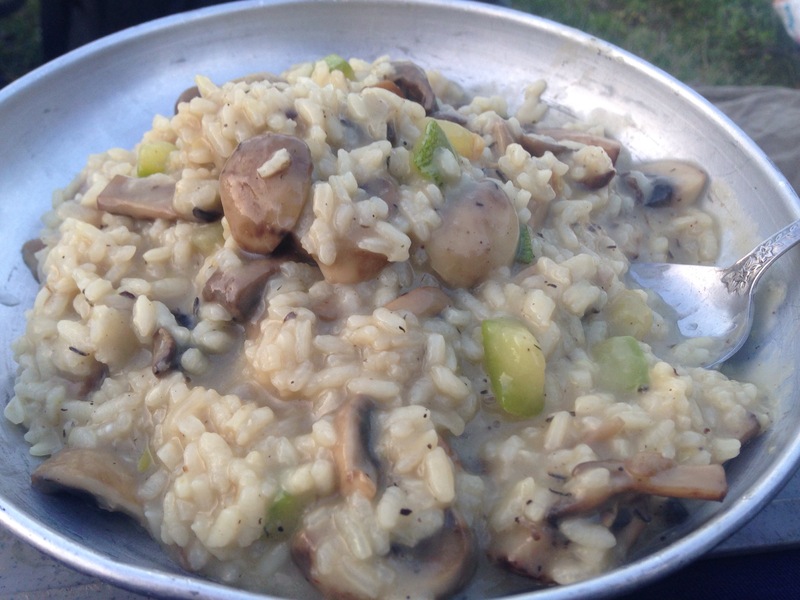 It’s now time to get back to cooking on the diesel stove.